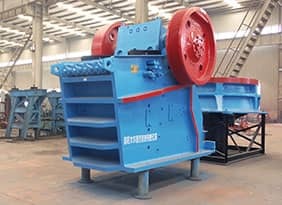 Barite is fragile and breakable, so during crushing process we recommend jaw crusher to avoid generating plenty of powder. The raw materials can get better crushing effects through one stage crushing by jaw crusher. 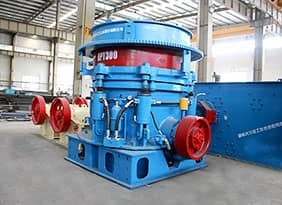 The particle size of crushed barites is not even, and the ore beneficiation equipment has its own feeding particle size and grading. 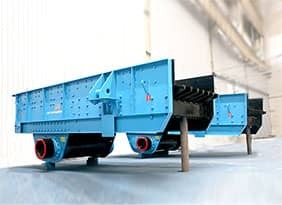 Therefore, the crushed barites need screening to optimize the next separation process in order to improve the separation efficiency and enhance the index. This process is re-selection process. It adopts reselection equipment to carry gravity separation for barite. Jigger has large strong feeding force and wide feeding particle grading, which can separate 0-30mm barites. It has the features of large handling capacity, high recovery and efficiency, energy saving and eco-friendly. The high grade ore and tailing separated by jigger contain more water, which need dehydrating. One aspect is to reduce the water content; the other aspect is to dehydrate excessive moisture, returning to circulating pool to minimum the cycling use of water volume.